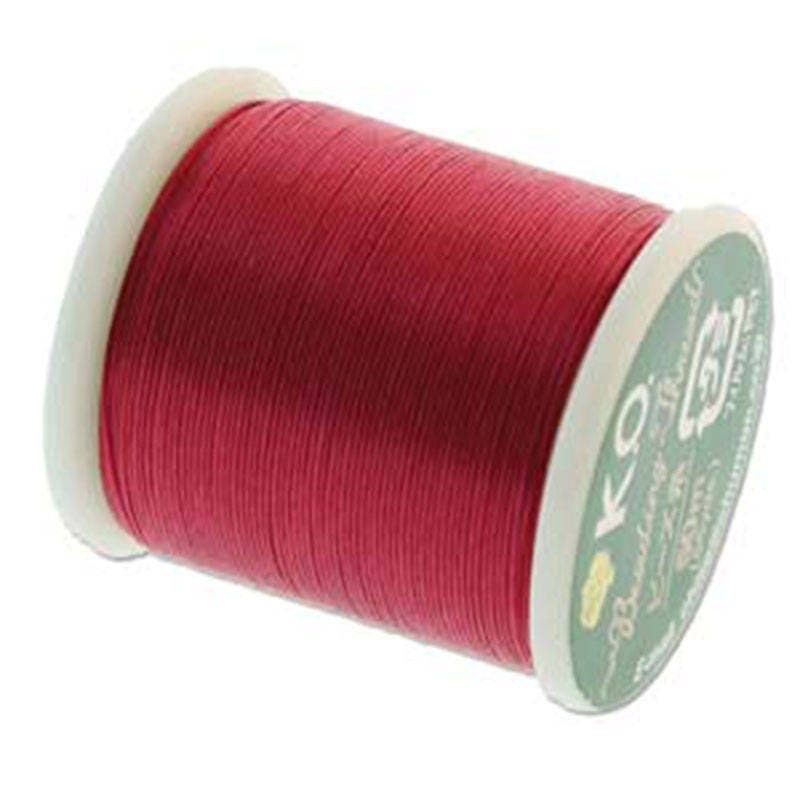 One spool of Scarlet Pink K.O. bead thread, a 55 yard (50 meter) spool. It is pre waxed, does not tangle or fray easily, and very easy to thread, too. Use easily with a size 10 or 12 needle. Size is comparable to Nymo B, so you will find this perfect for your seed bead embroidery and bead weaving projects as well as loom beading. 100 % Nylon; Made in Japan. You will receive one spool of thread.